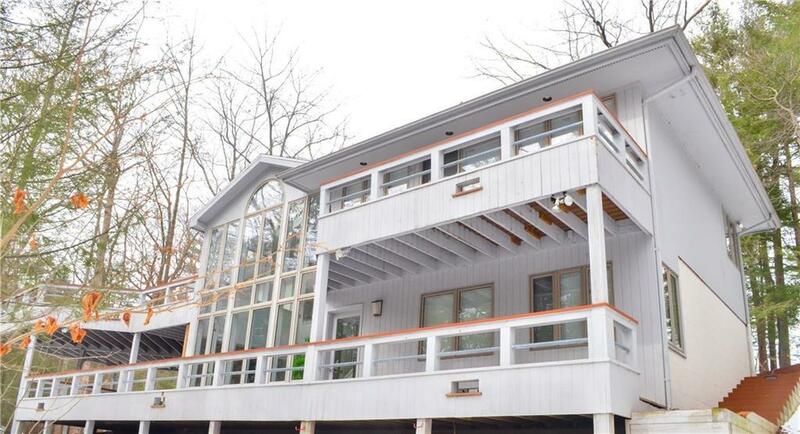 ARCHITECTURAL DIGEST INSPIRED CONTEMPORARY IN THE FINGER LAKES REGION! SOUGHT AFTER 1ST FLOOR LIVING BOASTS VAULTED CEILINGS IN THE OPEN CONCEPT GREAT ROOM, SHOWCASING FIREPLACE WITH CHERRY SURROUND. CHEF'S KITCHEN OFFERS SOLID SURFACE COUNTERS, SUB-ZERO REFRIGERATOR & SS CONVECTION OVEN. THE TWO STORY ATRIUM WITH IT'S WALL OF WINDOWS IS SPECTACULAR! RETREAT TO THE MASTER SUITE WITH WALK IN CLOSET & BATH WITH JACUZZI TUB. NATURAL LIGHT POURS INTO EVERY ROOM. LOWER LEVEL SHOWCASES DEN WITH FIREPLACE & SEPARATE ENTRANCE, PERFECT FOR IN-LAW SUITE. YOU WILL ENJOY THE TIERED TREX DECKING FOR ENTERTAINING & THE PRIVATE WOODED GROUNDS WITH CREEK RUNNING ALONG THE EDGE IS BREATHTAKING. CLOSE TO CANANDAIGUA LAKE, GOLF, SKIING, WINERIES & HIKING. WELCOME HOME! Directions To Property: Only 7 Miles From The City Of Canandaigua. From South Main Street, Turn West Onto Parrish Street, Turn Left Onto West Lake Road. Turn Right Onto Deuel Road. "no Real Estate Sign At Property." By Appointment Only, Thank You.